The basic idea behind the design of this floor plan is to construct numerous, small, free standing units to form a larger compound. These units should be raised one at a time as per the building code requirements. To displace 79 and 142 square feet on the inside and outside respectively, the units must measure, 7.5 by 10.5 inches and 10.5 by 13.5 inches. The necessity of a building permit for the construction of these units is dependent upon the relevant enforcement code. This compound plan is preferred since it allows you to build a single unit at a time thereby limiting your exposure to stress, money, and time while gaining a wealth of experience necessary for progressive unit construction. 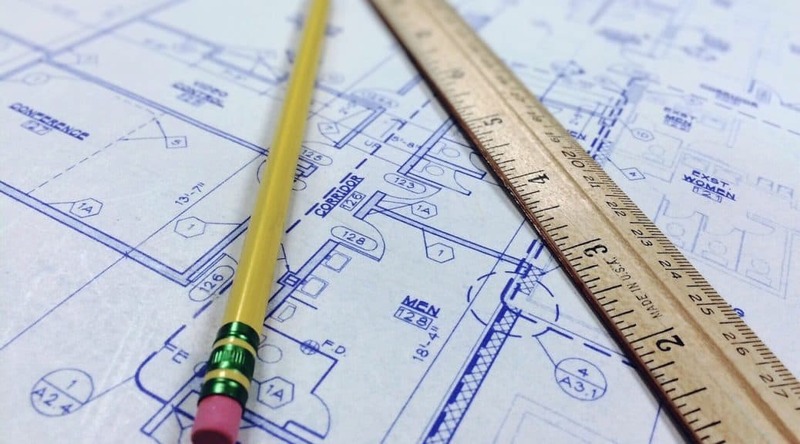 With this plan, you complete one unit, re-evaluate the construction, and start the next with enhanced skills and confidence. Later on, you can roof the central patio, and even expand your home to 975 square feet. This plan should be enclosed by low walls. These measures result in a parking space and three semi-private gardens. This plan is similar to the octagon plan found further down the linked page. It displaces 612 square feet on the inside and has a radius of 14 inches. However, this plan allows for a radius of between 15 and 20 inches. A tentative per-square-foot-cost is set at $30. Therefore, the complete 612 square feet version could cost an average of $18,000. This plan allows for easy expansion through the construction of another round unit either to the west or east. Entry doors should be to the east or west, bedrooms and baths to the north, and public spaces to the south. This plan is relatively easy to construct and affordable. This floor plan yields a single bath and two bedrooms. It is based on a 4-foot bale module. It is easy to build owing to its rectangular shape. This plan can be load-bearing, and its gable or shed roof rests on the short western or eastern walls. The structure has sufficient load-bearing strength since it has a single west wall door with no east wall doors or windows. The south or north walls are an additional support source. With an estimated $20 per-square-foot-cost, this house could cost a total of $12,000 inclusive of utility, land, and labor expenses. Logically, expansion of this design can occur to the west door; thereby opening into an office, work room, studio, or garage. An expansion to the north door will allow you a larger master bedroom with ample access to the existing bath. This uniquely shaped floor plan is suitable for a single bath and two to three bedrooms. The concept of this plan was triggered by the fact that round houses achieve higher efficiency with the addition of west-east corners to realize the shape of the eye. This plan has four straight walls which have two square corners and two southern and northern curved walls. This plan shape has a vital south-facing solar exposure and northern angles to the back for winter shade area elimination which is commonly achievable with long west/east rectangular footprints. This design evolves from the circle and eye designs. Typically, the diamond design is a break from the standard rectangle and lacks the eye’s round walls. In addition to its novelty, this plan is preferred for its reduced winter shade zone. With this plan, your bedrooms will be at each corner as opposed to the usual design in which bedrooms are grouped. You must go through public areas before accessing these bedrooms. Its bath is triangular and has adequate room for a shower although a tub cannot be fitted. This plan is recommended if you do not mind its complexity, but you prefer its design and novelty. 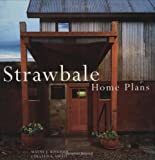 Whichever straw house plan you choose, you have the assurance you’ll be living in a one-of-a-kind, eco-friendly, low-impact home that is unique to you.